Yoga alignment is a frequent source of confusion for students. 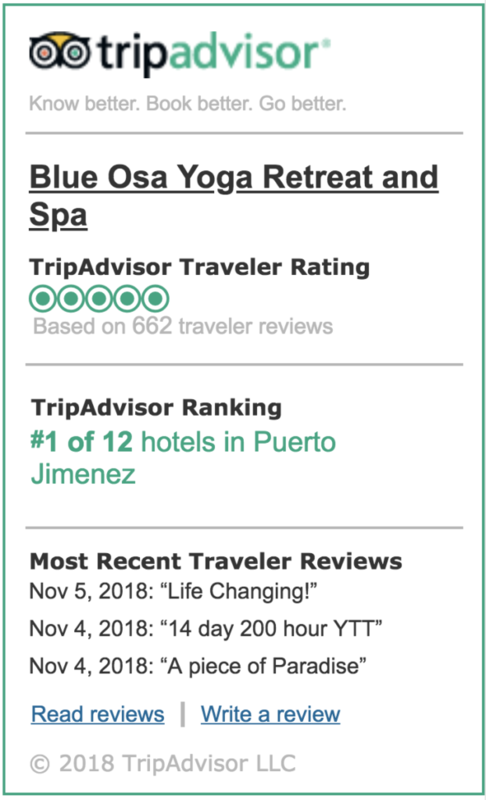 With an impressively diverse range of yoga classes to choose from, there’s never been a more exciting time to practice. But the array of traditions, styles, and teaching methods means that alignment advice is sometimes contradictory. Meanwhile, some yoga teachers don’t seem to focus on exact body positioning at all. But to practice yoga safely, it’s essential to learn the fundamental principles of alignment and how to adapt them to suit your own body. Alignment refers to the specific way in which a pose should be done to achieve maximum benefits and to minimize the possibility of injury. In the yogic tradition, alignment represents the ideal way to hold a pose. But alignment should really be looked at as a set of flexible principles that can be adapted for different bodies and different levels of practice. For example, in Downward Dog, don’t force your heels to the mat if you have tight hamstrings. This will cause your spine to compress when your focus should be on lengthening your spine. So instead, bend your knees as much as necessary to send your sit-bones up and back. The more you practice yoga, the greater your body awareness will become. 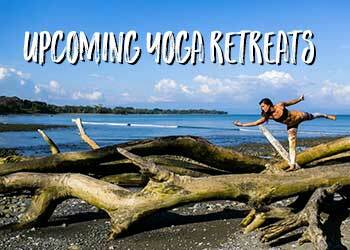 You’ll discover what yoga styles and poses suit your body and you’ll gain the confidence to flow through sequences. But taking an individualized approach to yoga is crucial to maintaining a safe practice. To increase your strength while lowering your risk of injury, modify the alignment of postures to suit your body’s capabilities. Why is Alignment Important in Yoga? 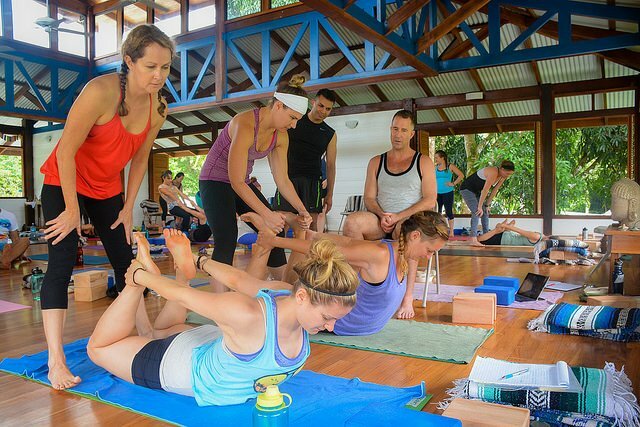 Alignment establishes a stable basis for a safe yoga practice. Correct alignment enables the body to stretch and open while minimizing wear and tear on the joints and tissues. As well as keeping your body happy and healthy, alignment also adds ease and grace to a yoga practice. If you’ve been practicing yoga for a while, you’ll have noticed that many yoga teachers use props and modifications in class. The purpose of props is to help students to develop correct alignment, without spoiling their posture. So, for example, if you can’t touch the ground while keeping your legs and spine straight, try using blocks. By using blocks, instead of bending your knees, you’ll still enjoy the benefits of a deep hamstring stretch. Many yoga injuries happen slowly over time. After years of practice, some yoga students find themselves suffering from injuries caused by incorrect alignment. And to fix the issues, these students have to try to change their established patterns. This is why it’s important to aim for optimal alignment at an early stage in your yoga journey. Whether this means using props and modifications or checking in regularly with a teacher, is up to you. Although most yoga alignment cues are adaptable, there are some universal principles that should be followed throughout your practice. By sticking to these basic principles of alignment, you’ll strengthen your body in a safe and healthy way. 1. Start by aligning the base of a posture before moving up through your body. This might involve positioning your feet correctly on the mat or pressing your feet into the ground for stability and support. Having a solid base is essential for a healthy yoga practice, so it’s worth giving your feet some attention. 2. Stacking the joints is essential in all yoga asanas, as it keeps your body stable. So in Cat/Cow position, for example, your shoulders should be stacked over your wrists, while your hips are stacked over your knees. 3. Focus on stabilizing your core throughout your entire practice. Almost all yoga poses involve core strength, from inversions to twists. And stabilizing your core helps to support your body, protect your spine, and strengthen your abdominal muscles. For standing postures, firm up your inner thighs and pelvic floor, creating a stable foundation for your spine to lengthen. Next, lengthen your tailbone down and then pull your belly button in towards your spine. 4. To minimize the risk of neck strain, think of your neck as an extension of your spine. By keeping your neck aligned with your spine at all times, you’ll minimize the risk of damaging your upper vertebrae. 5. Always use your breath when moving in and out of poses. In yoga, we’re most likely to injure ourselves during transitions. When we hold our breath, it creates tension in the body. So don’t forget to exhale deeply, which will release any tension and allow your body to flow into the next pose. By developing an understanding of the basics of alignment, you’ll gain the necessary tools to practice yoga safely. Although understanding these universal principles is important, remember that optimum alignment is based on what’s right for your body. Don’t be afraid to ask your teacher for help, to modify poses, or to use props when necessary. Yoga is a personal journey, so practice with awareness and learn to move in the alignment your body requires. 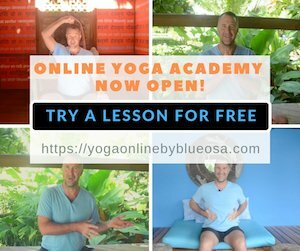 Learn More About Alignment In Our Online Yoga Academy!